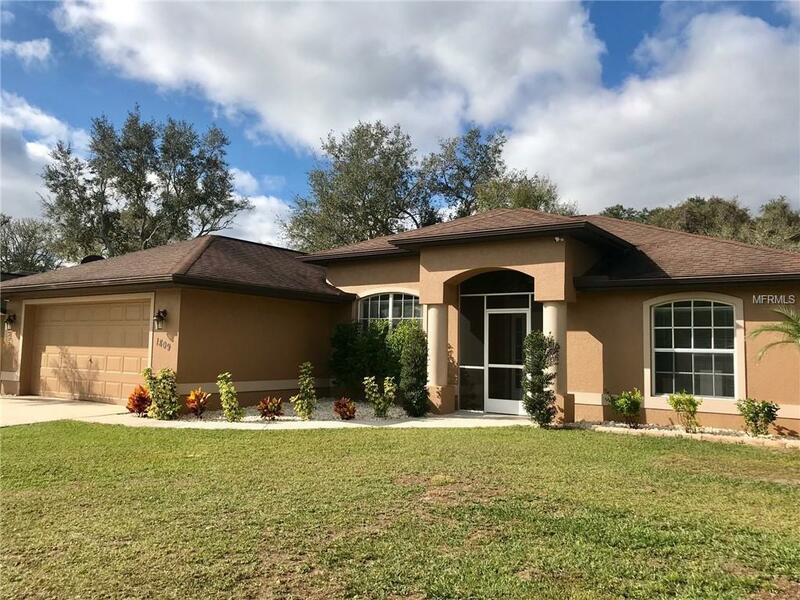 This 3 bed, 2 bath, 2 car garage North Port home is a must see! Located on a quiet street in an area with newer houses, this meticulously maintained home feels brand new. The spacious interior is light and bright with large windows, soaring ceilings, neutral colors, and ceramic tile throughout. The layout flows smoothly and features a split-bedroom floorplan, large living room, dedicated dining room, and an open kitchen with counter seating and a separate breakfast nook. New AC/heating system in 2017 (per seller) as an added bonus! Schedule an appointment today before this North Port gem is gone.